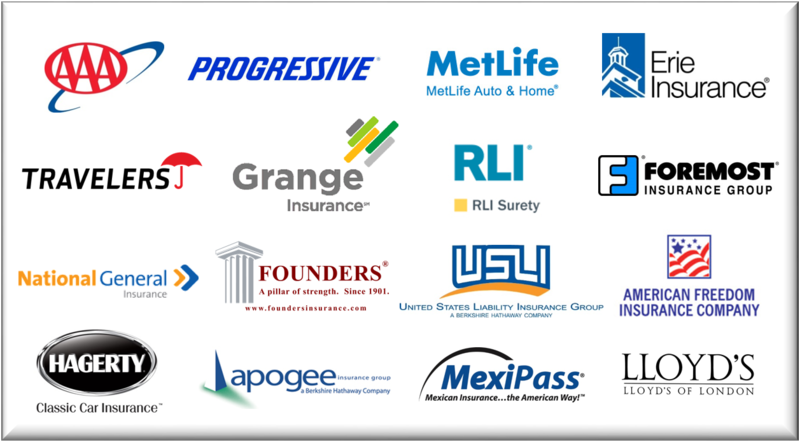 We are Chicago's premier independent insurance agency, representing numerous insurance companies. We are a Better Business Bureau accredited agency and are carrying a coveted "A+" rating with the BBB. We provide our quotes instantly online, via telephone or by a visit to one of our insurance centers. We write for multiple carriers including Travelers, Progressive, AAA, MetLife, Erie, Grange, Founders, Apogee and many more. We have worked hard to assemble the most respected and best rated insurance companies into one agency so that we can do the shopping for you. We are not beholden to only one insurance company, so you get more choices and better price comparisons. Get Insured, Inc. is a proud member of the Better Business Bureau. Any information entered on this site or provided to one of our agents is secure, protected, treated as confidential, and will not under any circumstances be sold or provided to any outside vendors.